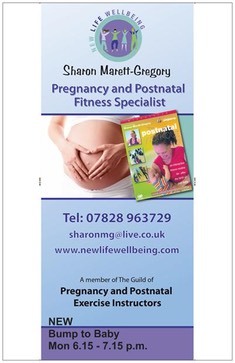 From pilates to yoga, if you are looking to get back in shape after having your baby, local postnatal fitness expert and instructor Sharon Marrett-Gregory is a great place to start! "My classes are a great way to socialise and meet other new mums with babies," says Sharon, who welcomes babies from six weeks to one year old in her classes. "Sometimes new mums worry about finding childcare when they start looking at getting fit again but with my classes that's not a problem!"